Why is your vote in the May elections crucial? According to Ilocos Norte 1st District Senior Board Member Ria Fariñas, it’s because whoever will get elected will get to influence the lives of the future generation. 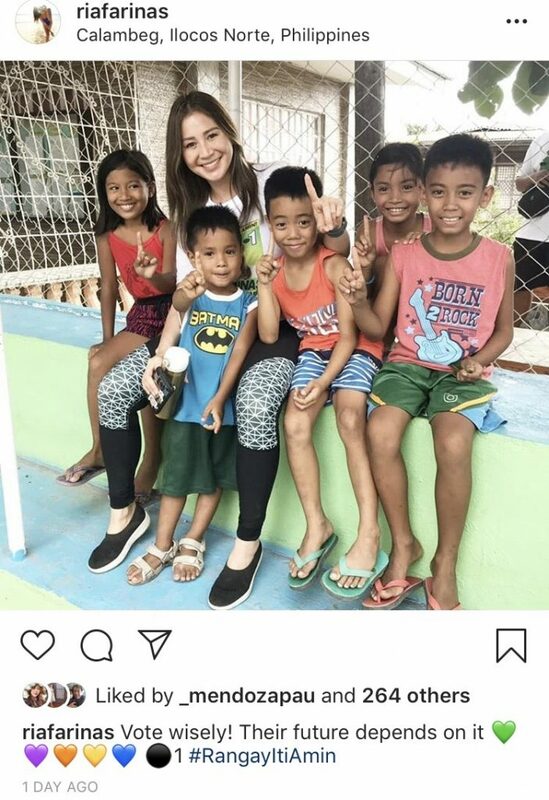 The politiko posted a picture of her with several kids on Saturday, April 13. “Vote wisely! Their future depends on it!” said Fariñas, who has a daughter named Natalia.